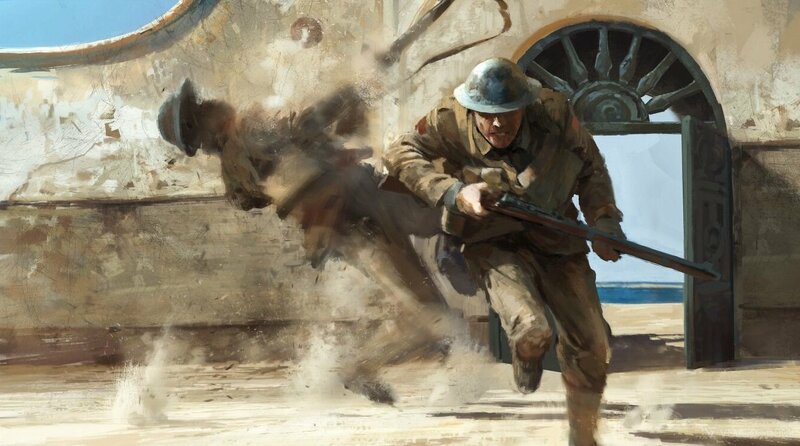 In a bid to stoke excitement ahead of the shooter’s multiplayer presentation next week, EA has premiered a batch of Battlefield 1 concept art (VG247), casting light on the creative process that went into retelling The Great War. From stricken soldiers pinned down in the trenches to awe-inspiring shots of burning zeppelins raining from the sky, there’s no question that early artwork for the shooter is impressive, and considering just how well the Battlefield 1 reveal trailer was received, it seems the majority of the franchise’s ardent fans have taken to the WWI setting. It’s a change of pace that was met with some resistance at first, with EA brass expressing concern that World War I – what with its complex timeline and relatively primitive technology – wasn’t suited to a video game series that defines itself on sprawling 64-multiplayer skirmishes. Indeed, much of that came down to the publisher’s claims that “younger consumers” didn’t know The Great War occurred in the first place. But after some convincing, Battlefield 1 is very much on course for its October launch. Ducking out of the genre’s much-touted space race and into the throes of World War I, DICE and EA are gunning for a new take on the formula, one that has already been held up as the “biggest and most innovative” Battlefield to date. Battlefield 1 is due to deploy on October 21, when DICE’s period shooter launches for PlayStation 4, Xbox One and PC.